On January 1, 2013, the maximum ordinary income tax rate for individuals increases from 35 percent to 39.6 percent, the maximum tax rate on long-term capital gains increases from 15 percent to 20 percent, and the maximum tax rate for qualified dividends skyrockets from 15 percent to the 39.6 percent top ordinary income tax rate. Several tax breaks expire on December 31, 2012 as well, including 50 percent bonus depreciation and the increased Section 179 deduction amount. Additionally, the $5.12 million basic exclusion amount for lifetime gifts and testamentary transfers by a decedent will fall to $1 million on January 1, 2013. 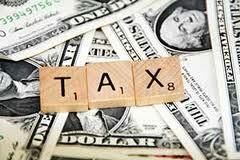 Why are individual tax rates important in the taxation of businesses? Because most small businesses are taxed as single-owner sole proprietorships or S corporations, or as multi-owner pass-through entities-either partnerships, LLCs taxed as partnerships, or S corporations-where the results of operations are passed through and taxed to the individual partners, members, or shareholders. Also two new Medicare taxes will take effect on January 1, 2013. Individuals earning more than $200,000 ($250,000 if married filing jointly, $125,000 if married filing separately) will pay an additional 0.9 percent Medicare tax on wages exceeding those base amounts. Self-employed persons earning more than the threshold amounts will pay the additional tax on amounts above the thresholds. In addition, a new 3.8 percent Medicare tax will apply to some or all of the net investment income of persons with an adjusted gross income (AGI) above $200,000 ($250,000 for married filing jointly, $125,000 for married filing separately).